After over three and a half months of regular season play, three weeks of postseason match-ups, and 64 of the nation’s top college baseball teams competing for a chance at the NCAA title, the UCLA Bruins and Mississippi State Bulldogs have braved the storm and battled their way to the championship finals in Omaha. 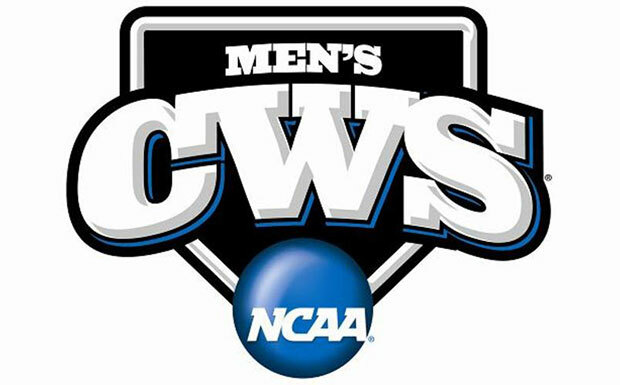 Between the two teams, a total of 15 College World Series appearances have produced zero titles, as both seek to amend that statistic come early next week, where either the Bruins or Bulldogs will take home the first College World Series title in their school’s history. Now that the two-team field for the best of three games championship series has been established, let’s take a minute to look back at the journey both teams have experienced in getting to this point in Omaha. The UCLA Bruins have gone undefeated in this year’s postseason, besting their opponents in eight straight contests throughout regional, super regional, and CWS play. After winning a pair of close games against San Diego State and Cal Poly, the Bruins finished off the Los Angeles Regional with a 6-0 rout of San Diego to reach the Fullerton Super Regional. In game one of super regional play, the Bruins outlasted a hot-hitting Cal State Fullerton team, ranked fifth in the nation coming into the NCAA Tournament, in extra-innings for a 5-3 victory, cemented by a clutch performance by closer David Berg. The Bruins would once again showcase their pitching strength in game two, as Nick Vander Tuig turned in a strong start that would be followed by a lights out bullpen performance led by Berg, giving UCLA the 3-0 victory and a berth in the College World Series for the second straight year. 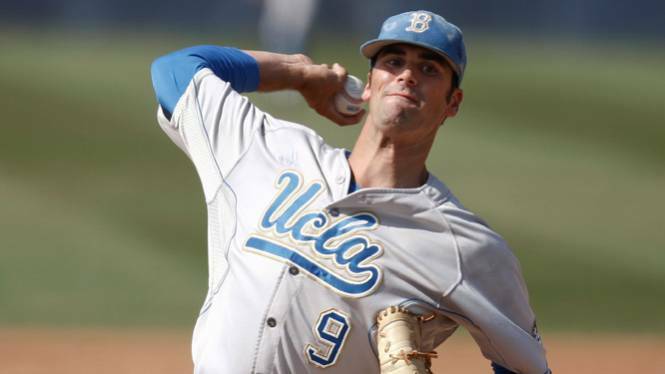 UCLA continued their strong postseason run into Omaha, besting a strong LSU ball club in the CWS opener behind a masterful performance by staff ace Adam Plutko. Plutko, after seeing his streak of five wins in five postseason starts end following a no-decision in game one of super regional play, held a premier LSU lineup to just one run over seven innings of work (through 21 innings of postseason work, Plutko has only surrendered two earned runs). The Bruins followed up with yet another strong pitching performance, this time by number two starter Nick Vander Tuig, working seven innings of one run ball en route to a 2-1 victory over the potent NC State offense. To put into perspective the experience and strength of the UCLA pitching staff, Plutko and Vander Tuig are number one and two in career postseason starts in UCLA history (Plutko with seven and Vander Tuig at six). UCLA head coach John Savage’s statements following the victory over NC State illustrate the manner in which the Bruins have played ball in Omaha thus far, which can be described as nerve-racking, but at the same time exciting (and up this point, successful). “Right now I guess that’s who we are. I mean, it’s Bruins baseball. Sometimes it’s grueling, it’s tough to watch, I’m sure, from outside the dugout. But our kids hung in there and they persevered. As per Savage’s assessment, Friday’s contest against the North Carolina Tar Heels was “grueling” and “tough to watch,” especially in the ninth inning. Coming into the ninth, the Bruins had cruised along with a comfortable 4-0 lead; however, the Tar Heels came swinging in the ninth, putting the first three runners aboard. Fortunately for the Bruins, Berg was able to settle down and come away with just one run surrendered, cementing the 4-1 victory and UCLA’s advancement to the CWS finals for the second time in four years. As for Mississippi State, they join UCLA in a CWS finals comprised of two teams that were not exactly the projected finalists in Omaha coming into the tournament. 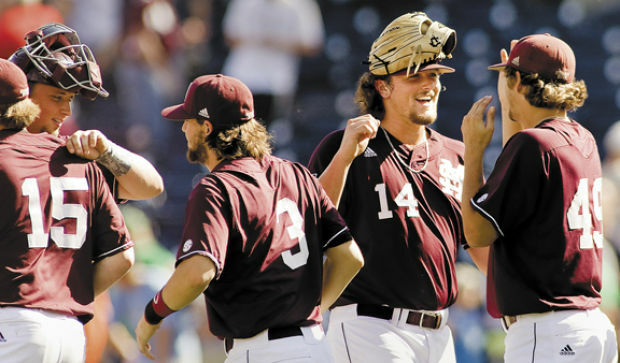 To put such into perspective, the Bulldogs weren’t considered to be at the level of fellow SEC competitors LSU and Vanderbilt; however, Vanderbilt was ousted in super regionals and LSU ran out of gas in Omaha, leaving Mississippi State as the premier SEC representative heading into the finals. The Bulldogs’ started their postseason journey by hosting the Starkville Regional, capturing two early victories against Central Arkansas and South Alabama. However, it would be Central Arkansas that would pose the Bulldogs a problem in the first elimination game, staying alive by beating Mississippi State 5-2. Despite the loss, the Bulldogs would power back to rout the Bears 6-1 and advance to the Charlottesville Super Regional against Virginia. Facing the sixth ranked Virginia Cavaliers at home, the Bulldogs would go on to sweep the Cavaliers, although at the expense of a good fight by Virginia. In game one, the Bulldogs would engage in a slugfest, registering 20 hits, six of which belonged to Adam Frazier, as they came away with an 11-6 win. Game two would see much of the same excitement, wherein a two-run rally by the Cavaliers in the ninth (due to sloppy defensive play by the Bulldogs) would be quelled, giving the Bulldogs a 6-5 victory and their first CWS berth since 2007. Mississippi State continued their postseason hot streak by taking the CWS opener against the Oregon State Beavers 5-4, behind a dramatic two-run rally in the eighth. Wes Rea’s two-run double gave the Bulldogs the go-ahead lead, while a solid performance by the Bulldogs pitching staff held the Beavers scoreless in the final four frames. The Bulldogs would follow up with yet another thriller, this time against the hot-hitting Indiana Hoosiers. Mississippi State was able to get out of a seventh inning jam to grab the 5-4 victory, led behind a solid pitching charge that registered a team-record 14 strikeouts (10 of those belonging to Chad Girodo). However, the Bulldogs would find it easier the second time around against Oregon State on Friday. Led by a three-run blast by Hunter Renfroe in the bottom of the fifth inning, the Bulldogs would go on to eliminate the Beavers by a score of 2-1, cemented by Jonathan Holder’s third save of the CWS and team-record 30th career save (passing Van Johnson’s mark of 29 set between 1995-1998). The victory cemented their second straight sweep of the postseason, as the Bulldogs will now advance to the CWS finals for the first time in school history. For the Bulldogs, it’s been a matter of getting the hits when they need them most, as was explained by Bulldogs head coach John Cohen following Friday’s victory over the Beavers. “We did what we’ve always done: We got the hit when we really needed it,” Mississippi State coach John Cohen said. “Of course, Hunter’s ball that left the ballpark was different. For the Bruins, a triumph over the Bulldogs would bring home the first NCAA baseball title for UCLA, as well as a record 109th NCAA title for a UCLA athletics program that has dominated college team sports throughout the decades. As for the Bulldogs, a triumph over the Bruins would bring home not only the first NCAA baseball title to Starkville, but also the first NCAA title in school history for any team sport. Both teams have had spectacular runs throughout the NCAA Tournament, culminating in a CWS finals match-up that most did not foresee happening. Beginning on Monday, Mississippi State and UCLA will take the field in game one of the championship series in Omaha, looking to establish a strong foundation for game two (and potentially game three) and for the chance at taking home the coveted NCAA title for the first time in both of their teams’ histories.